If you have no exposure on the internet, consider yourself in a disadvantageous position. Owning a business website is not just a way to catch up with the times. Today, even the smallest companies realize the necessity to create a business website, let alone private entrepreneurs and home businesses. The truth is, an enterprise without a business website loses the ability to reach out to a huge share of its target audience. A well-established online presence, on the other hand, makes your brand visible and accessible on the web, expanding your marketing opportunities from “local” to “global”. With a beautiful website, it is much easier to catch an eye of your potential customers and eventually convert them into buyers. But how to build a small business website that would help you expand your customer base and boost sales? Here’s a step-by-step guide to give you a basic idea about the process and its main challenges. Even a small business website can have a wide range of applications. It can effectively serve you as an online alternative for a brick-and-mortar store, an e-commerce platform or just an information desk where visitors can find out more details about your brand and products. The UI and UX of your site start with a clear vision. With your goals and priorities outlined, the further process of designing and optimizing your business website for users will be less of guesswork. When you know which elements to emphasize and what exactly you want visitors to achieve with the help of your site, you can think of the ways how to engage and retain your audience, as well as lead them all the way through the sales funnel and convert into loyal customers in the long run. Hire a specialist: This option completely lifts the burden off your shoulders and saves your time by leaving all the creative work for a web designer. However, this is the most expensive solution as the professional services will cost you around $1.000-4.000. Use a website builder: The most cost-effective and popular option allowing you to make a small business website with minimal effort and time investments. Although the features and abilities of dedicated software vary greatly, you should be able to find the solution that would suit your goals and expectations as most website builders offer a free trial. NING, for instance, specializes in advanced content sharing, community building, and content monetization. In plain terms, a domain name is your website address on the internet. It is displayed as a URL in a browser and lets your audience find you on search engines or access your site by entering the URL directly in the address bar. Also, a domain name affects SEO. This is why it is advised to approach the choice of a domain name with due care. If you decide to hire a web designer, you will have to buy a domain name from a registrar like GoDaddy and the like. A registrar is a company authorized to sell domain names. If you go with a website builder, a domain name can already be included in a subscription fee. For example, NING provides its users with a free custom domain name with a ning.com suffix while also offering an opportunity to map a website to an alternative domain. Avoid generic terms and focus on your identity: Your URL should represent your brand in the first place. Therefore, your brand name is the most obvious candidate for a domain name as long as it is unique and recognizable. Keep it concise: The shorter your URL is, the better it looks, and the easier it is to remember. Keep it simple: Your domain name should be easy to type and pronounce. Also, avoid hyphens and special symbols. Don’t forget about SEO: A relevant keyword skillfully introduced in the domain name can improve your visibility on search engines. Use a region identifier if it makes sense: If your desired domain name is already taken or you want to specify your location, consider adding the name of your city/town/state to the main body of the URL. In addition to a domain name, your business website will need a web host to store all your data assets for public access. Some website builders like NING offer hosting services as a part of a subscription plan. But if you decide to hire a specialist to create a business website from scratch, you will have to research the market and find the most appropriate web hosting provider for your specific needs. No matter what your business is about, the design of your website is what sets it apart from many others. So it’s vital to ensure it makes an impeccable impression on your visitors. Selecting a website template (theme): Most website builders including NING offer a variety of design templates tailored to various purposes and niches. A template determines an overall look of a website, its layout, color scheme, navigation menu, etc. Choose the one that suits you best and proceed to the next step. Template customization: Advanced website builders allow users to modify various visual elements and parameters of templates to ensure the uniqueness of a website design. For example, you can apply diverse background images, customize a header, footer, and navigation bar, add a brand name and logo, configure the look of menus and buttons, change colors and fonts, etc. With a good website builder, most of the operations require no technical skills at all and can be carried out easily with the help of an intuitive Drag-and-Drop interface allowing you to add and modify custom elements layer by layer. 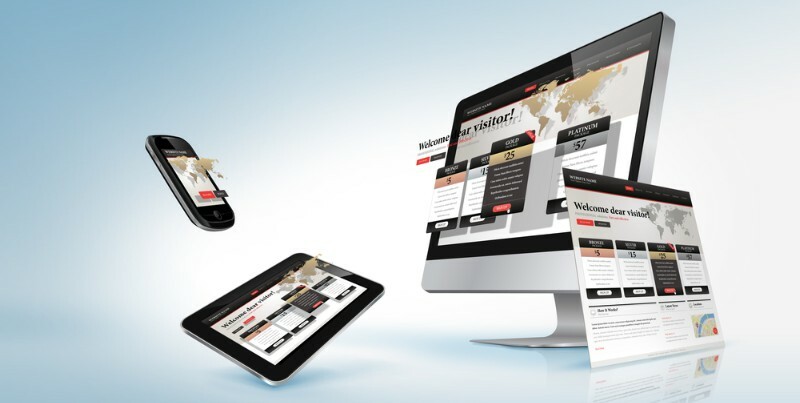 Optimizing a website for mobile users: It is reported that 67% of users are more likely to make a purchase on a mobile-responsive website rather than a non-optimized site. If your website is built on NING, it is automatically made compatible with mobile devices like smartphones and tablets. Even a small business website should have at least several pages. More pages don’t equal a better website, but the number should be enough to convey the main idea of your business and offer visitors sufficient information. Every page must have its clear purpose. Homepage: This is the basic page of your business website. It should communicate the idea of your business and point visitors to other relevant pages. Also, a homepage is a perfect place to display the latest website updates, e.g., recently added posts, news, important messages, etc. About Us: Tell your visitors what your brand is all about: what you do, why, and who would be interested in your products and services. You could also tell customers about your team and development history on this page. Don’t forget to spice things up with original and vivid photos to capture visitors’ attention. Product page(-s): This one is a no-brainer. If you’re trying to sell something with the help of your business website, you need an attractive product page (or multiple pages). Fill it with convincing descriptions featuring relevant keywords and insert a bunch of quality product photos to make the best impression on visitors. Blog: Blogging is a perfect way to show your expertise in a subject, share valuable content, and keep your audience engaged. In addition, setting up a blog can significantly improve your SEO. Photo/video gallery: Visual content is a great engagement generator. So why not share your best photos and videos on the website? Your customers would be happy to see your brand from the inside: photos of the staff and manufacturing facilities, videos demonstrating new products, interviews with industry experts, behind-the-scenes videos, etc. Content like that boosts your credibility and enhances customer trust. Landing page: Since you make a website for business, you want your visitors to arrive straight at the page that would provide them with all the necessary information about your brand and product, engage them, and convince to subscribe/make a purchase, etc. In essence, your landing page is your main lead magnet, so make sure it is capable of fascinating your audience. Contacts: The last but not least, the Contacts page is a mandatory addition to any business website, large or small. It should be easily accessible from the main navigation menu and include all the contact details you can provide: phone number, email address, fax, links to social profiles, etc. If you have an office or physical store, don’t forget to specify the address and mark the location on Google Maps. When building your web pages, keep in mind that your primary goal is to encourage visitors to become buyers/subscribers/members/etc., or at least leave their contact details (leads). This is where punchy CTAs come in. Call-to-action buttons that redirect users to relevant pages (product pages, subscription forms, etc.) should be evenly distributed on website pages to remind visitors that they can take the next step anytime. Communication plays a vital role in the development of healthy customer-brand relationships. Your potential customers may have questions and suggestions you should be able to reply to, while you need feedback to grow and improve. There’s no shortage of online means of communication these days. The more of them are integrated with your website, the more opportunities will open up to your business. Choosing NING as your website building solution gives you access to a wide variety of networking features that can help you stay connected with your audience: Private and Group Messages, Broadcast Messages, Forum, Polls, Comments, email services, and even Live Chat. Making money is the ultimate purpose of any business, and your website must be ready to accept payments at any time. Usually, websites are connected to third-party payment processors, but some website builders offer their own e-commerce platforms. Thus, NING has developed an array of monetization features for content creators: Paid Access, Paid Membership, and Donations. Thanks to these, users can easily monetize their websites and receive money online. Even when all is set, and your business website is ready to welcome new prospective clients, it’s no time to rest on your laurels. There’s always much more to be done. Your site needs constant updates to stay relevant. Besides, ahead of you are diverse marketing activities and, of course, hours and hours of content development. But don’t back down in the face of challenges! You can actually get a lot of joy out of the process and be rewarded you with an unmatched feeling of accomplishment. But most importantly, a well-designed business website will grant you a competitive edge and expose you to a greater audience.